Defy Deck Stains have become one of the top-rated water-based exterior coatings in 2019. We love hearing from our customers who have used the Defy Stains or have questions on prepping and application. We appreciate your input, so feel free to leave a comment below and pictures of your completed projects if you have them. Welcome to the official help site for DefyStain.com! 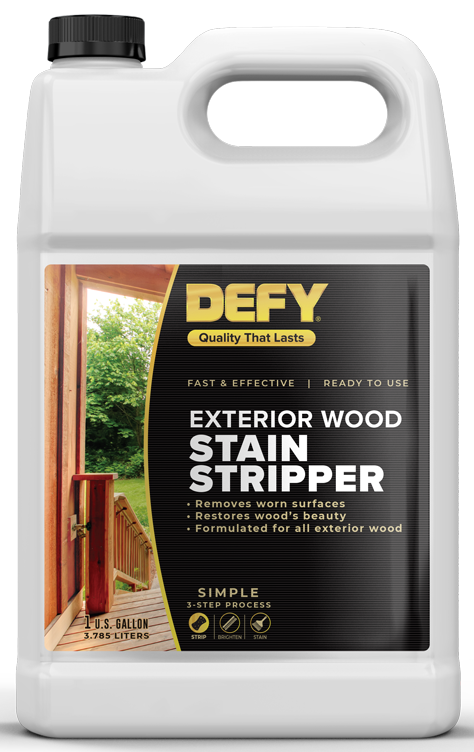 DEFY wood and deck stain products are formulated with premium quality synthetic resins that resist mold and mildew growth, are easy to apply and are environmentally friendly. Defy stains offer protection from UV fading, wood rot, water damage, and mildew for all types of wood species. Use DEFY Wood Stains on pressure treated lumber, cedar, mahogany, redwood or any vertical or horizontal exterior wood surface. 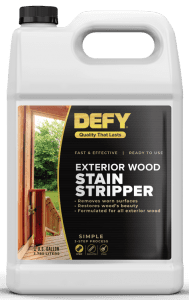 The Defy stain help site is designed for exterior wood and deck owners looking for help with Defy Extreme Stain, Defy Stains for Hardwoods and Defy Epoxy Fortified Wood Stain. We will offer tips and proper application instructions for Defy Stains so you may achieve professional results. Please read our articles and ask any questions you may have as we are here to help. For new wood and Defy Deck Stains, the wood does need to season for a time and should be prepped. We love hearing from our customers who have used the Defy Stains or have questions on the application. We appreciate your input, so feel free to leave a comment below and pictures of your completed projects if you have them. Defy has stain products that are excellent for newer, more dense wood. With special penetrating properties, newer wood is shielded against water damage and graying. Defy Stains are not prone to peeling and flaking and will ensure beautiful and lasting results for your new exterior wood surfaces. It is recommended that wood should be allowed to dry out for 3-6 months before cleaning and staining. New woods that are rich in oil such as mahogany should also dry out for 3-6 months before protecting with Defy Stain for new wood. Want to switch to a better brand of deck stain like the Defy Stains? We love hearing from our customers who have used the Defy Stains or have questions. We appreciate your input, so feel free to leave a comment below and pictures of your completed projects if you have them. Defy Stains are VOC compliant, semi-transparent wood finishes. They help shield against the negative effects of fungi, water damage, and UV fading. Defy Stains can be used on many types of wood to enhance the beauty and give lasting protection. Use Defy Stains on decks, fences, wood siding, shake shingles, log homes, gazebos, outdoor furniture, and other exterior wood surfaces. Defy Stains should not be applied over existing paints, stains, or varnishes. These wood surfaces need to be stripped to remove any old stain remnants. Without removing old failing coatings Defy Stains will not penetrate the wood properly or perform as expected. How to Prep for Defy Stains? We love hearing from our customers who have used the Defy Stains or have questions. We appreciate your input, so feel free to leave a comment below and pictures of your completed projects if you have them. Defy Stains have superb penetration and color retention properties. They resist moisture and block out damaging UV rays. Defy Stains are not prone to flaking or peeling making it easy to maintain. The VOC compliant formula gives long-lasting protection against the elements for years of beauty. Defy Stains can be used on wood siding, decks, fences, log homes, shake shingles, outdoor furniture, and other exterior wood surfaces. Before applying any of the Defy Stain products the wood surface must be prepped correctly to assure proper penetration and stain performance.